Perched at the top of Trinity Road, this charming country home offering breathtaking panoramic views of the Valley of the Moon. 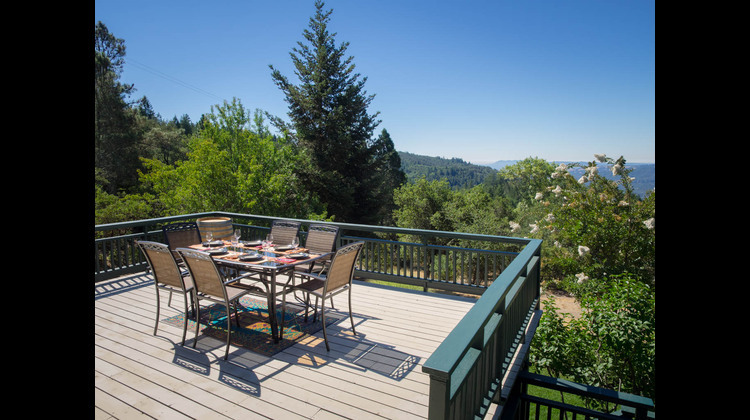 Sitting on over 5 acres, this gated estate allows plenty of privacy, and is ideally located to explore both Sonoma Valley and Napa Valley. 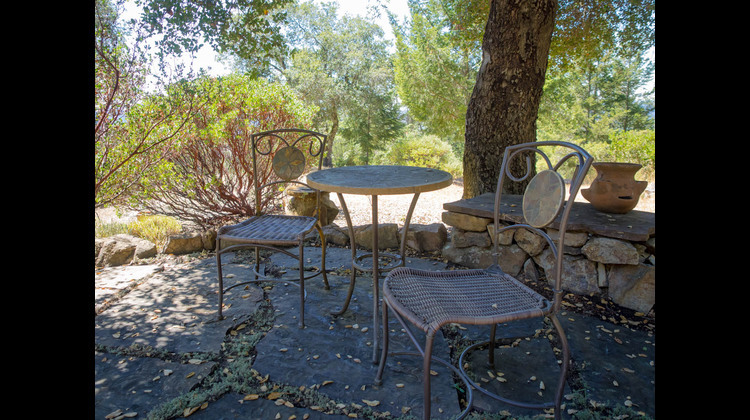 Located less than 10 minutes from historic Glen Ellen and 15 minutes from Oakville in Napa, this property allows easy access to the best of both valleys. 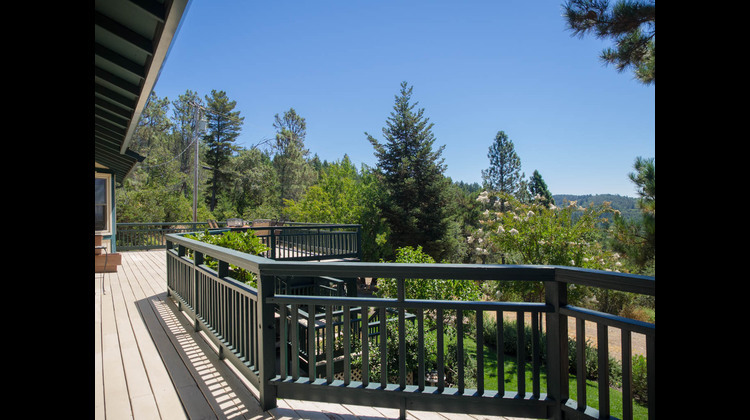 Enjoy the views for the walk-around deck, that can be accessed from most rooms. 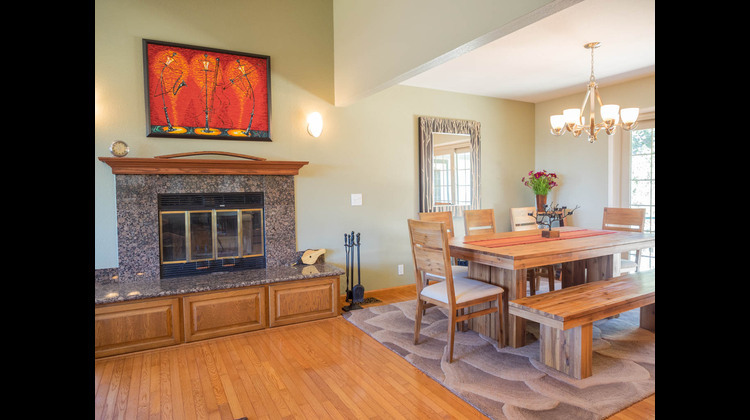 On the main level are the living room with high ceilings, panoramic windows, hardwood floors, and wood-burning fireplace. 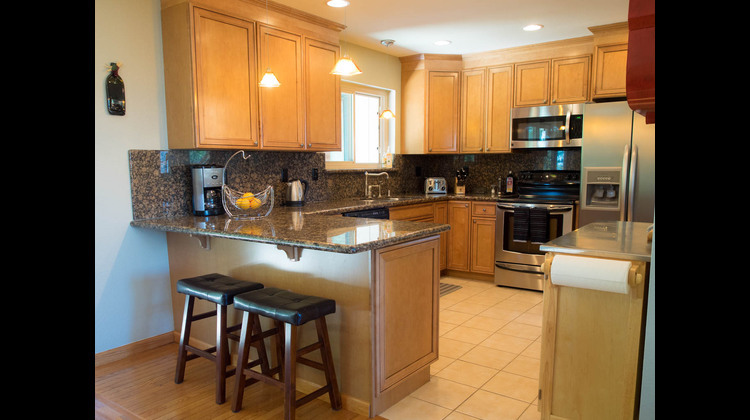 The spacious, remodeled, fully stocked kitchen opens to a large dining room. Step outside onto the deck complete with patio set and Weber gas grill. 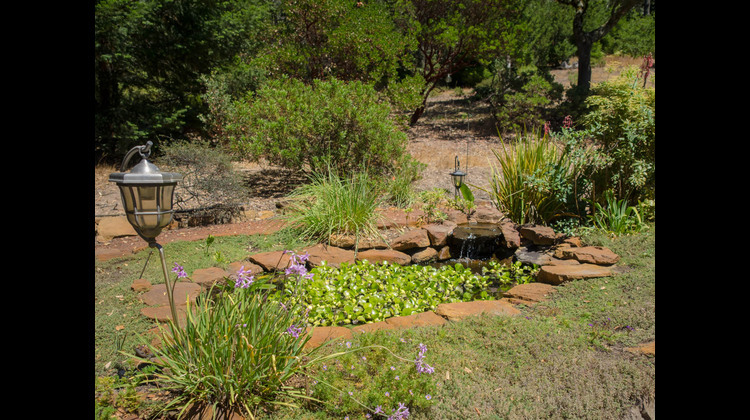 Continue down to the garden with Koi pond. 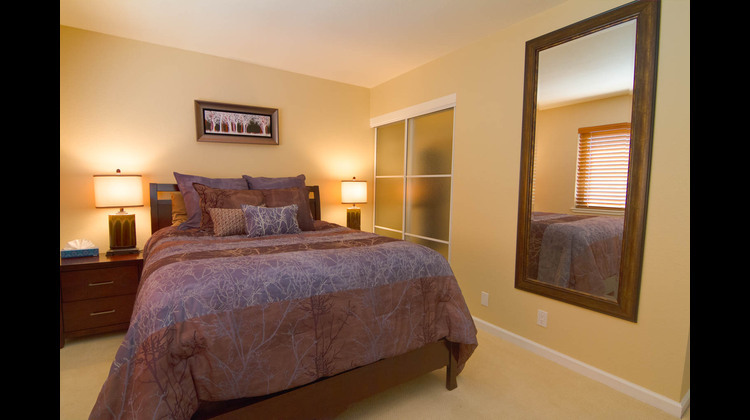 The master bedroom suite with walk-in closet & jetted tub for 2 (also with deck access), and second bedroom with queen bed & full bath, complete this level. 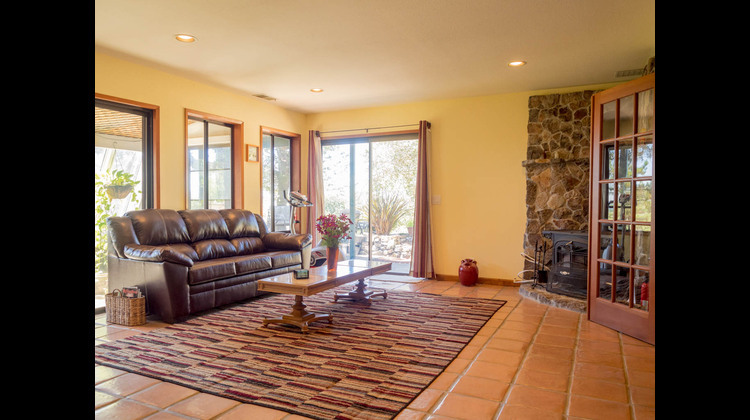 The lower level includes the third bedroom and bathroom, plus a large family room with Spanish style floor and wood-burning stove. 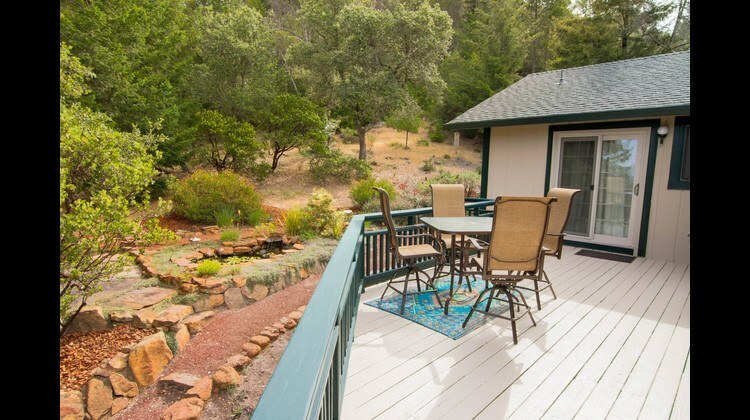 Step outside to access the beautifully landscaped garden, where you can relax surrounded by oaks, pine, madrone and manzanita while enjoying the song of many different species of birds. 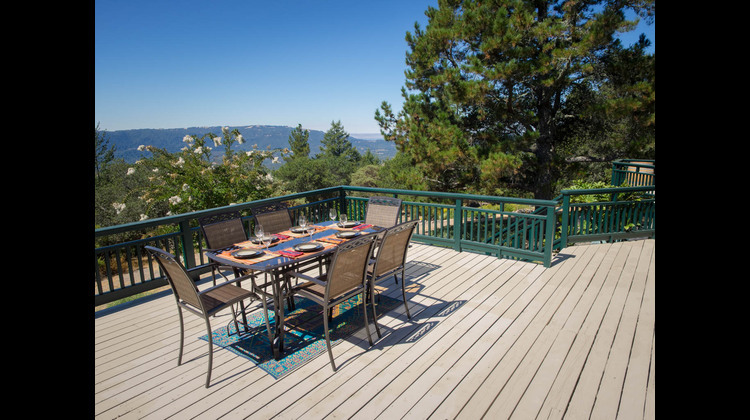 A second patio set is located on the spacious front deck and overlooks the Valley of the Moon, with views from Mt. Tamalpais to Bodega Bay. By night, the large front deck provides a 240-degree view of the night sky - perfect for stargazers and amateur astronomers to peer deep into the Milky Way! 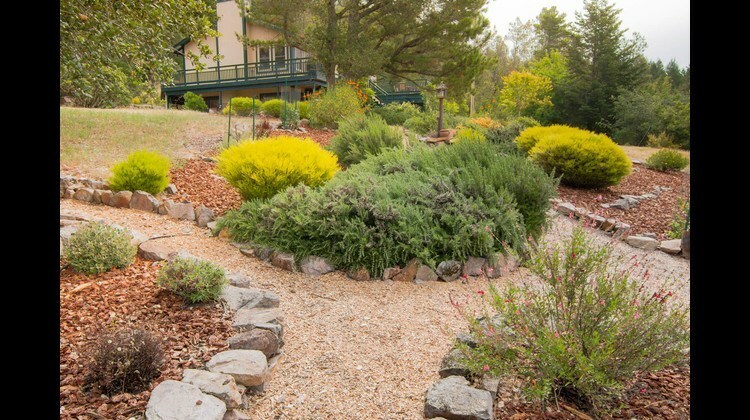 Our home's unique location allows visitors to explore both Napa and Sonoma Valleys. 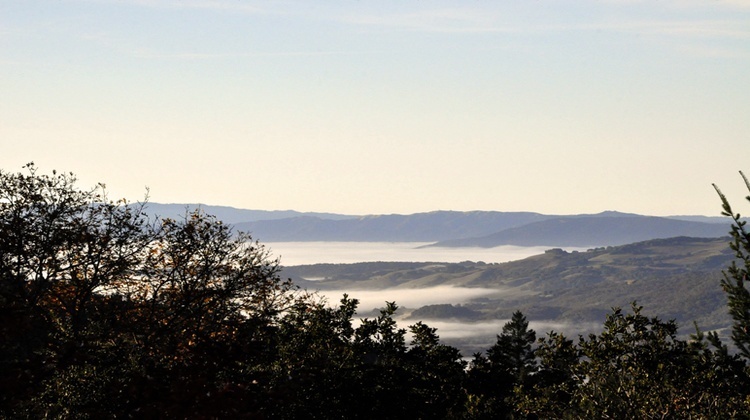 Hike or walk in the area's regional and state parks, including Jack London's Ranch. Inquire about custom wine tours and tastings. SAVE on Booking Fees! Congratulations, you have found our personal web site! 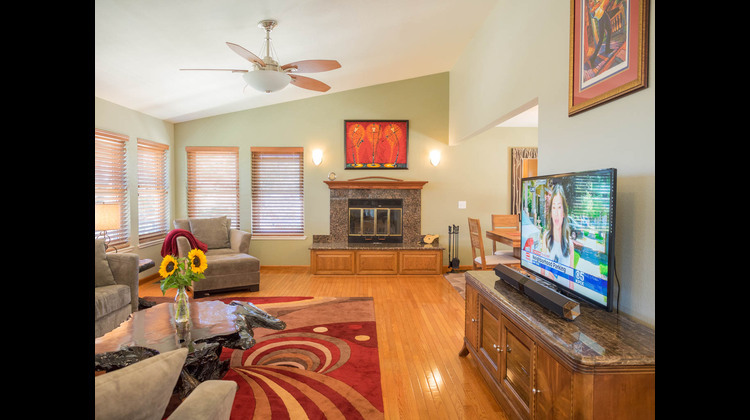 By booking our home directly with us through this site, you will save fees and credit card surcharges imposed by other listing sites, and you will receive personalized service. We guarantee that you will find the lowest price available in market here on our web site! Update: As you may know, Sonoma and Napa counties were impacted by wildfire in October 2017, and the land bears the scars of the fire. This includes our mountain, and you will see evidence of the fires when driving around Sonoma or Napa. While our home was not damaged, may others were not so fortunate. We encourage you to visit Sonoma and Napa, as our local community would greatly appreciate your support. Our stay at Montagne Della Luna was incredibly comfortable. 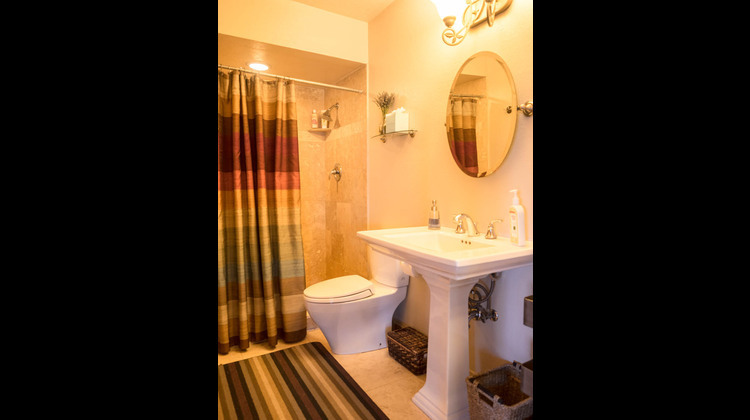 We were 6 adults (3 couples) and what we loved about this home was that each bedroom had its own separate bathroom, so we weren't on top of each other or waiting in line to use a bathroom. The beds were very soft & comfy, the kitchen had everything we could possibly need, the living room was spacious with plenty of room for all of us to relax, and the owners provide a very detailed binder with everything from winery & restaurant recommendations to instructions on using the coffee pot and television. The house came stocked with plenty of towels, pillows, blankets and toiletries. 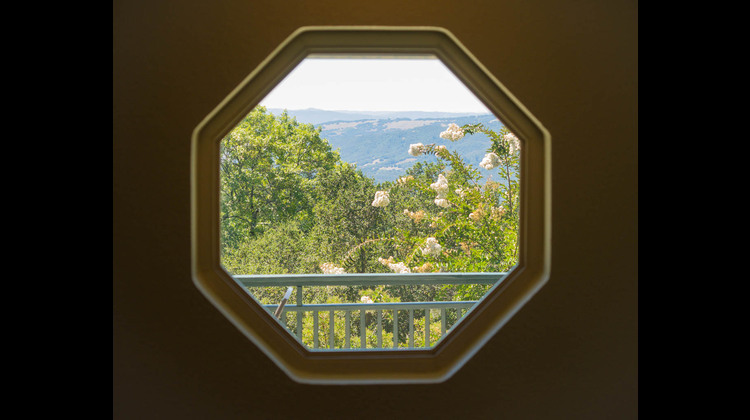 The views from the property are spectacular - because it's situated at the top of a very long, winding road. The road is about 3 miles of steep, hairpin turns which take about 12-15 minutes to ascend - while we could handle this just fine, I could see it being a potential obstacle for other guests, especially at night. Search No More...Heaven Awaits !!! My wife and I travel a lot and stay in many homes around the country and this one is right at the top of the list for beauty, comfort and serenity. From top to bottom the other reviews say it all. 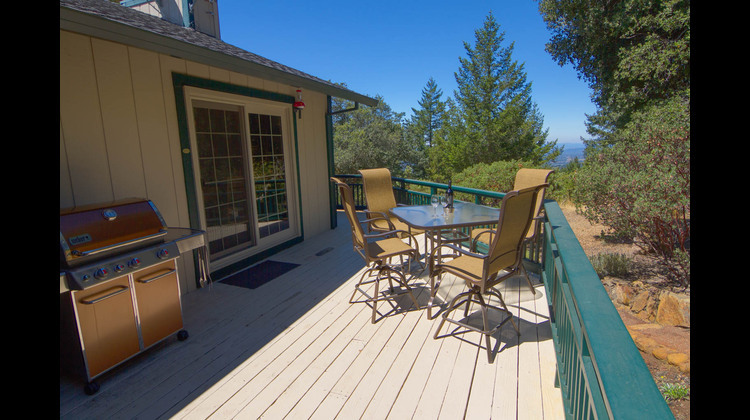 The convenience to both Napa Valley and Sonoma Valley with this location could not have been better. I need to mention the new table on the deck...WOW!!! No expenses spared with the absolutely beautiful (teak/or teak looking) 8 chair table. 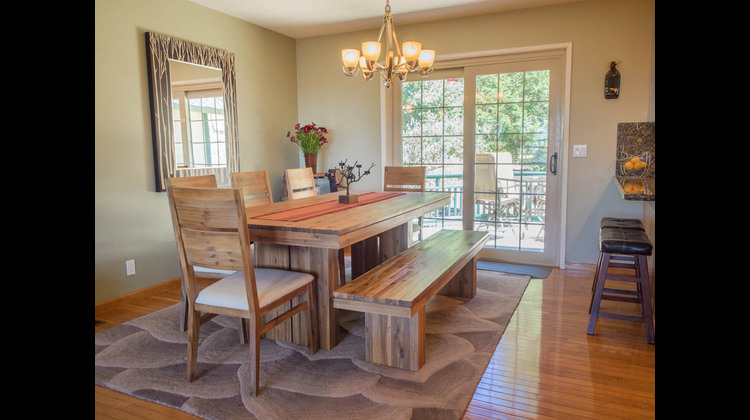 We were blown away with the high quality of the table, chairs and large umbrella. Very very classy. 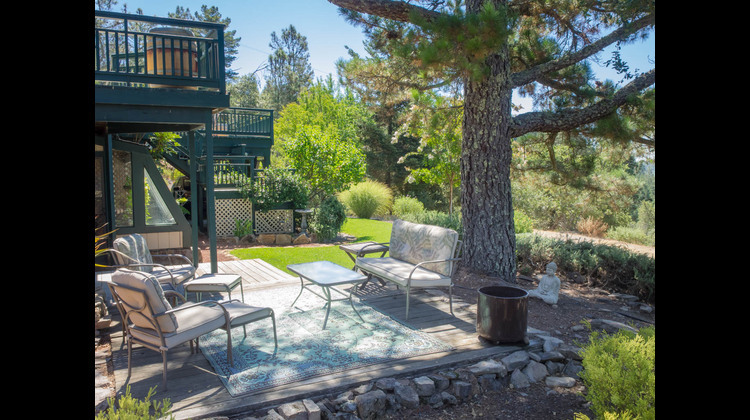 You will end up spending countless hours on the front deck...or maybe having breakfast on the back deck...or maybe sitting on the garden patio amongst the pines with a glass of wine. By the way during our stay we saw a deer walking by the Gazebo, many humming birds and circling hawks and several wild turkey walking through the property. The stars above and shooting stars were fantastic. Finally, Brian was very responsive with several questions we had...and found out all the answers to anything we needed were in a book that is like an encyclopedia for the property. You will not be disappointed with this gem. My family has stayed at several Airbnb's both in Europe and the States .... This home ranks right up there with the best ... Home and surrounding property make you feel like you're in a nature preserve... so quiet and relaxing... Tea on the front deck in the morning, watching the fog burn off ..... amazing!! There were 7 of us and more than enough room!!!! Right in between Sonoma and Napa.... The drive along Trinity Rd is spectacular on its own!!! Thank you so much for opening your home!!! We stayed here for 3 nights. 3 couples total and had plenty of space. The house was well maintained and kitchen was stocked with everything we needed. 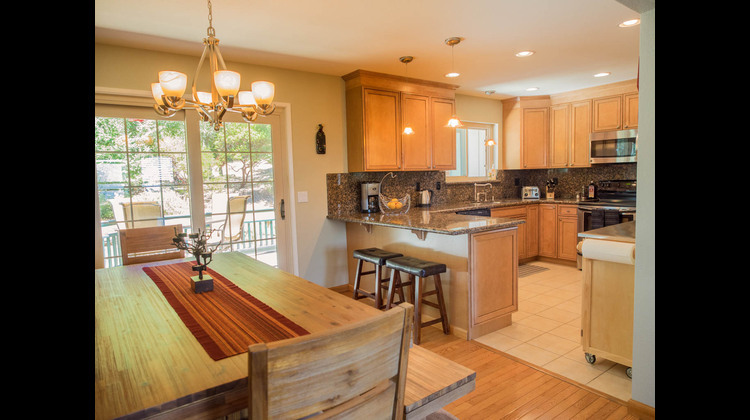 This home is located in a beautiful nature with a full equipped kitchen. We loved a spectacular view from the terrace and really enjoyed our stay. If you want to relax in a quiet environment, this is the right place. You can enjoy interaction with hummingbirds every morning. Strongly recommended!! 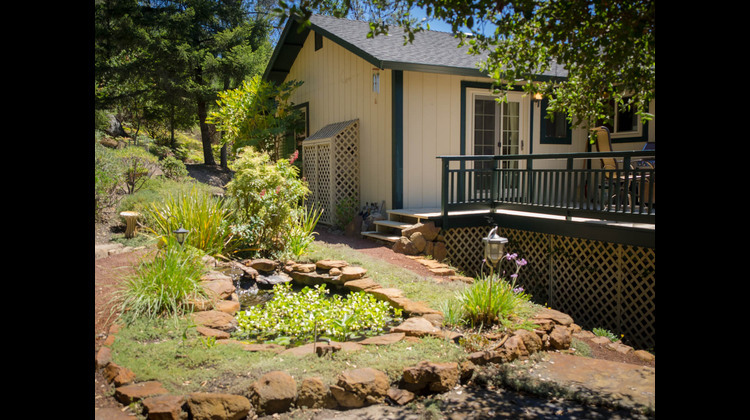 We really enjoyed our stay in this cute wine country home! 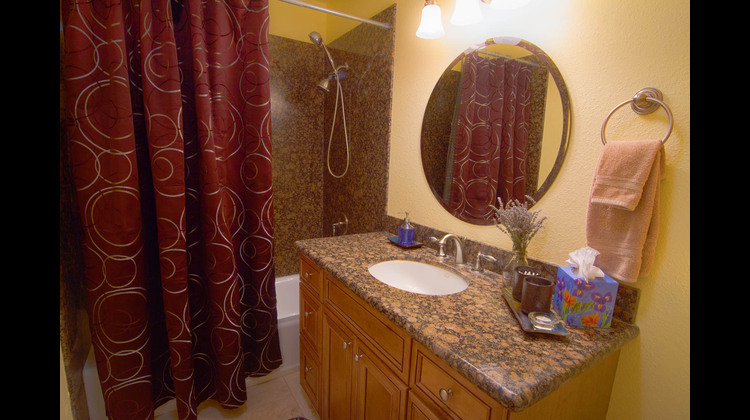 Perfect size for three couples and clean and exactly as described and pictured. Good location between Napa and Sonoma. Please just know that it is a decent drive up an extremely windy road up a mountain to get anywhere. Only con to the house was no shower, just tub, in master bathroom but there was a shower right outside of the master bedroom. Overall we enjoyed our stay here and the owners were great to deal with. Would definitely recommend this wine country home! We all loved the accommodation. The drive up the hill was a little scary but we managed it. We all loved the house. Even though the weather was not great we made the best of it. The kitchen had everything we needed. We will definitely recommend this accommodation to our friends and family. The house was great. There were six of us and each couple had their own room and bathroom. The kitchen had everything you could need. The BBQ outside was an added bonus. We were able to have a delicious dinner while taking in the view from the terrace. The location is close to both Napa and Sonoma. Easy to get to from San Francisco. Montagne della Luna is just lovely - the perfect place to spend your days touring the wineries and sampling all of the wonderful wine. It sits at the top of the Trinity Road with the most spectacular views from several outdoor seating areas. You will feel like you are in your own home. 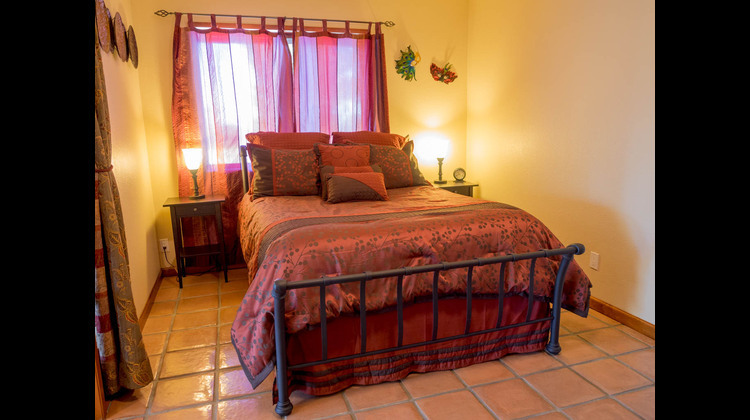 It is so well furnished with comfy beds and separate baths for each bedroom, and the kitchen has everything you will need. There were even some surprises in the frig. We were so blissfully exhausted after full days of touring that we opted to eat at home each night and the grill was wonderful. Be sure to read Theresa and Brian's recommendations for some great wineries that may not be on your list. We especially liked Pride and Petroni. Thank you, Theresa and Brian, for sharing your lovely home. We hope to see you again very soon. 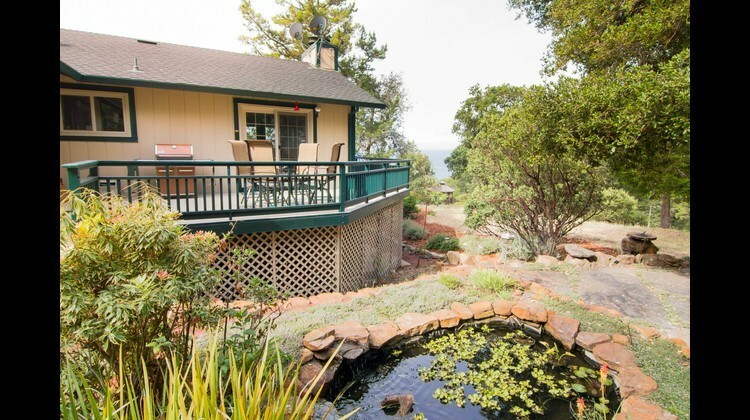 Peaceful , relaxing gem nestled between Napa and Sonoma. 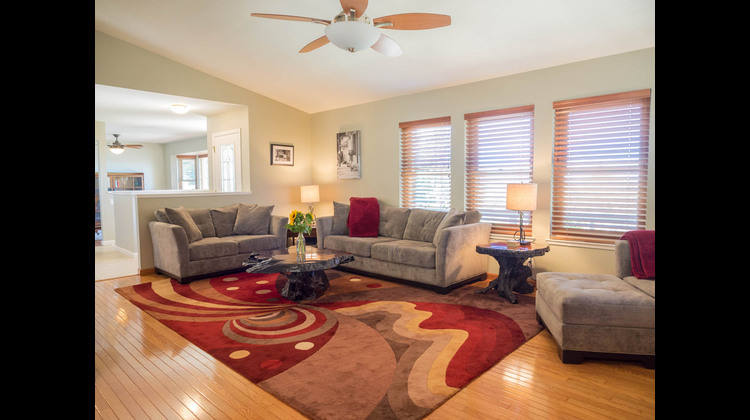 We chose this rental property due to the unavailability of hotels during Memorial Day holiday and Rock Bottle event. This turned out to be one of the most beautiful places we have ever stayed. The mountain setting provided a fantastic back drop for our family photos. We were able to view gorgeous sunsets on the wrap around decking plus spend time sipping our wine outdoors in the evenings. My granddaughter saw a doe and her two babies grazing in the front yard the very first night! This home was very clean and cozy. The updated kitchen was well stocked with condiments, coffee , tea and more. I can't say enough positive comments about our stay. The only down side is that we had to return home!! Thank you Teresa for opening your home to us. Stayed here 3 nights for a weekend with friends, and could not have asked for more! 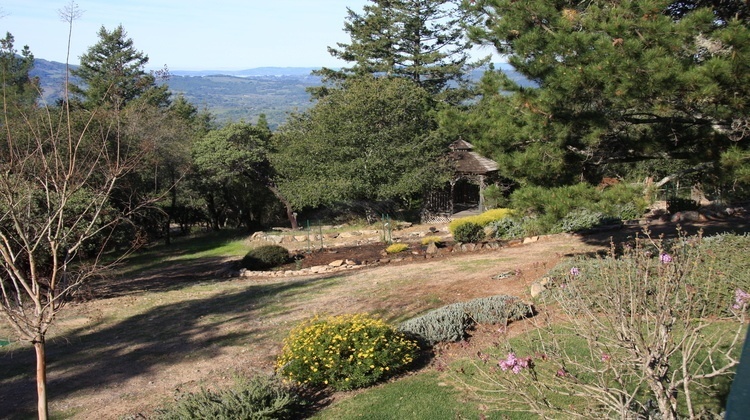 The lot offered complete privacy, breathtaking views, and uninterrupted peace & quiet. The house itself was clean, very comfortable, easily accommodating 7 of us. After long days spent exploring Sonoma and Napa, this was the perfect place to come "home" to, to enjoy a glass of wine out on the balcony or cozied up by the fire. I wish we could go back next weekend! This house was very clean and well equipped. We were 3 couples and found the accommodations to be very comfortable. 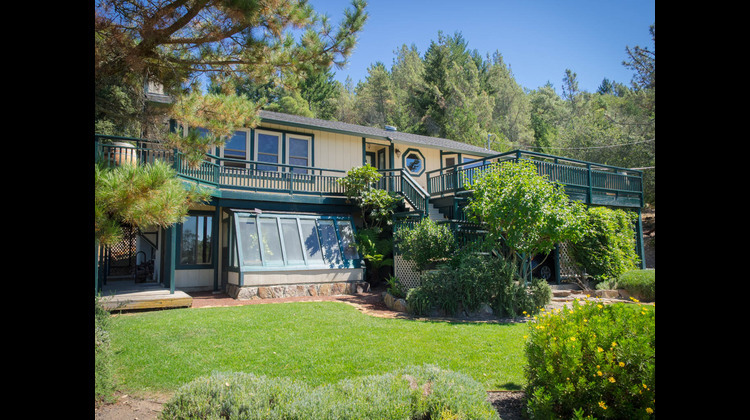 The house was centrally located to Napa, Sonoma, and Healdsburg. The roadway to the house was terrifying the first time, but after that we enjoyed the ride up the mountain every time. The views were amazing. Our favorite time of the day was sitting on the deck drinking our wine after a full day of sightseeing and visiting wineries. The sunsets were magnificent. Thank you for allowing us to share your home. Our party of 6 had a wonderful experience for 4 days at Montagne Della Luna. 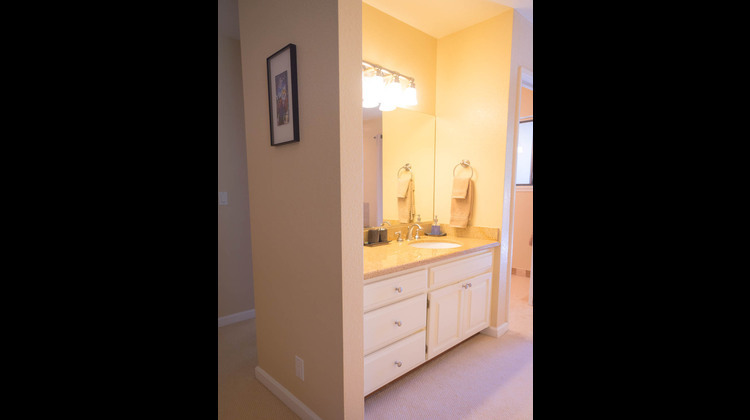 The property is equipped with every comfort you will need during your stay including a well a stocked pantry of condiments for meals. The is a deck wrapped around the house from the south side to the north side to take in the view from its hill top setting. The sunsets were amazing and star gazing at night was easy with no surrounding lights. The owners were very helpful and provided suggestions on things to see and do, including a fall harvest party at a neighboring vineyard which was quite fun. 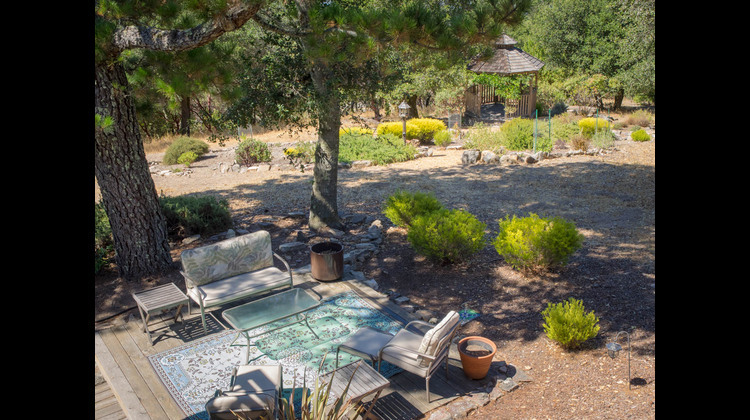 One thing to be aware of, the property is located at the top of the hill separating Sonoma and Napa Valleys and is a 10-15 minute drive up a winding road from the nearest town of Glen Ellen or a 25-30 minute drive down the Napa side to the nearest town of Yountville. Sonoma Square is about 30 minutes drive and Healdsburg is about 55 minutes drive. That being said, access to both Valleys was nice. 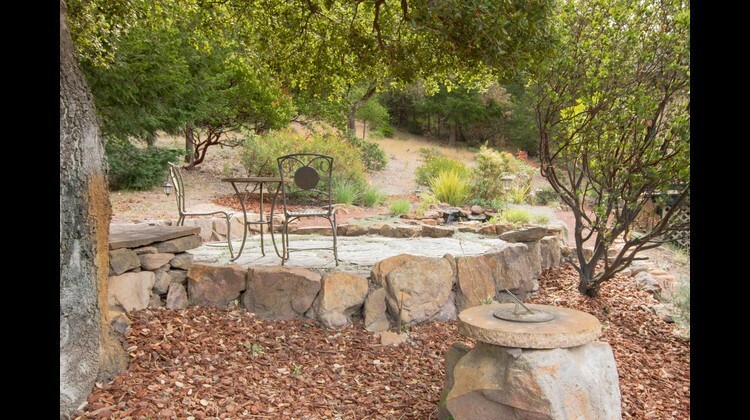 If you appreciate a quiet and peaceful setting but still wish to have access to Sonoma and Napa Valleys this would be a great spot to consider. My group of 7 had an amazing weekend at Montagne Della Luna. The home is on the top of a hillside and has a beautiful view into the valley. It was especially cool in the morning when we could see the fog rolling through the valley from above. The house is very comfortable, and the layout was perfect for our group. There is also a good amount of outdoor space, and we spent a lot of time on the patio, grilling and enjoying the beautiful weather. We would definitely recommend this place to other groups and families! 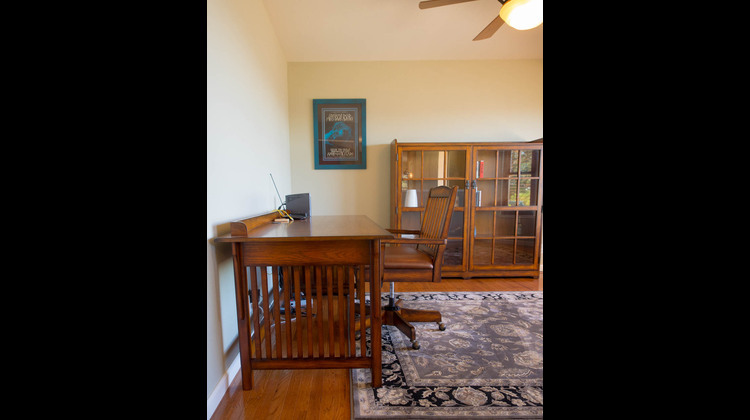 Owner Response: Thank you, Rachael for your very thoughtful review! We are thrilled you and your friends had such a lovely weekend. Hope to have you back someday soon! 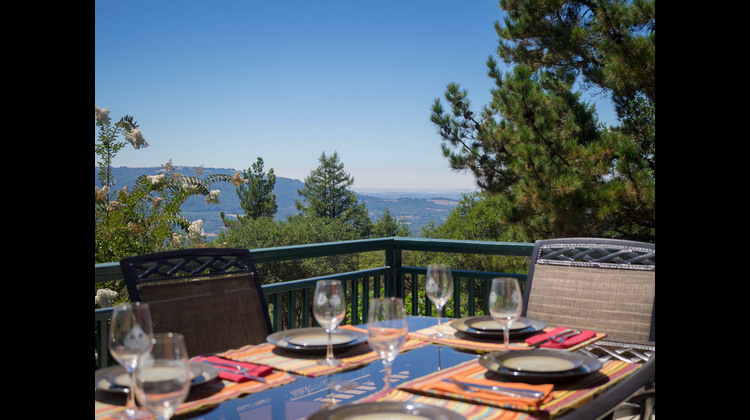 This beautiful house is located in a quiet and secluded hillside between Napa and Sonoma Valley so it is the perfect location to visit both. We had 6 people and there was plenty of space with 2 bedrooms upstairs and one downstairs. 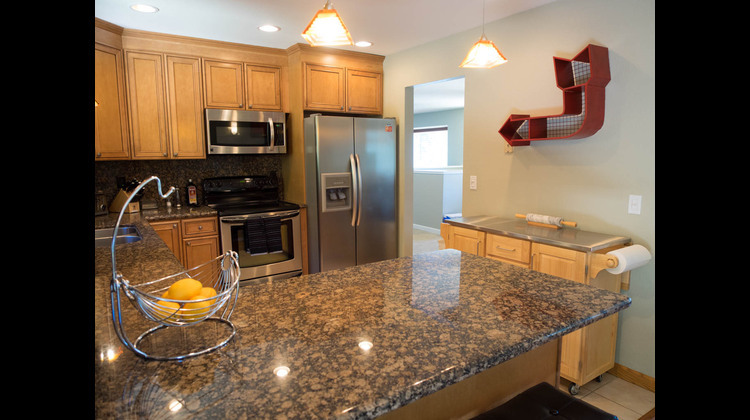 The kitchen is updated with a large gas grill and outdoor patios to eat and enjoy the sunset. 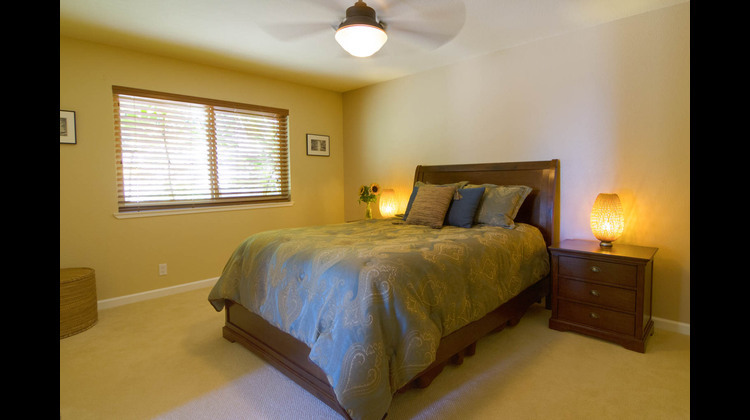 The property is clean, well-maintained, and nicely furnished. Excellent value for the money and nice to have the additional space for our group as well. Beds are very comfortable and linens are quality. Only negative is the water has a slightly metallic taste, but other than that we had an amazing visit and wish we could have stayed longer! This property is fantastic! Clean, well-maintained and well-equipped with everything we needed. If you're out wine tasting during the day be sure to make it home by sunset, as the view at that time is not to be missed! 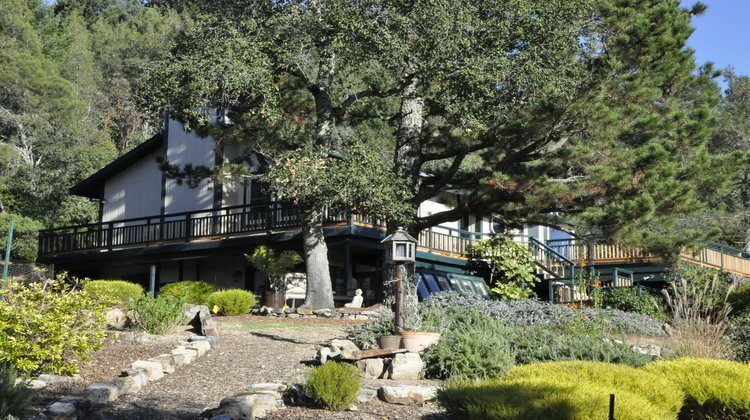 All of the amenities we needed were just a short drive down the mountain, and the owners were kind enough to recommend some terrific wineries that we'd never heard of. Napa is very close by as well but honestly we were too busy discovering the many shops, wineries and restaurants that Glen Ellen and Sonoma have to offer! Great place, can't recommend it enough - we'll be back! WOW! This is the hidden gem of the sonoma/napa wine country. 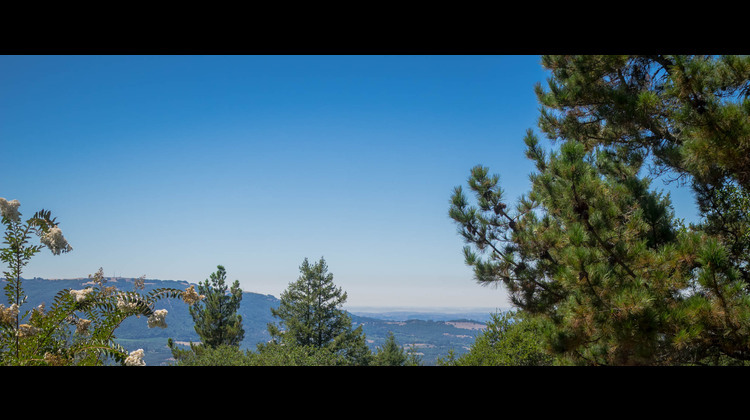 As you drive to the top of Trinity Road, you feel like you are on top of the world.... but you are just a short scenic drive from vino, fabulous restaurants, hiking trails, and more. I truly can't imagine a better place to getaway from the hustle and bustle of city life and relax in luxurious comfort. The views will blow your mind. Sitting drinking coffee (or wine) on any one of the many lovely spots outside was pure heaven. 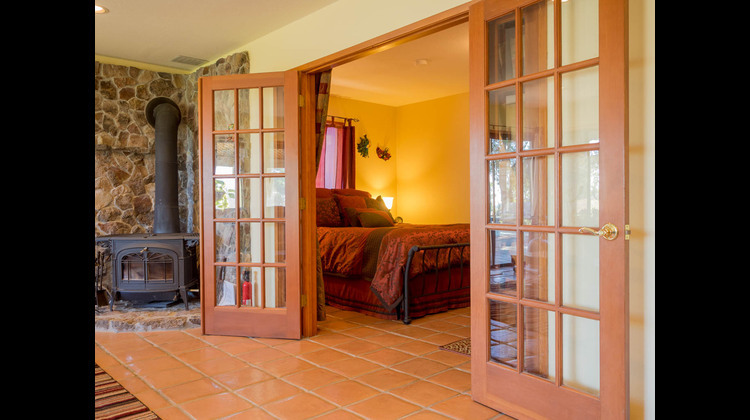 Then after watching sunset over the distant hills from the deck, we retreated inside where the furniture and fixtures have been chosen thoughtfully and artistically, the kitchen is perfectly stocked and the beds are super cozy. One night the temperature outside was cold so we lit a fire and snuggled on the couch. During the day we hiked in the historic and beautiful Jack London State Park, ate lunch in Glen Ellen at the Fig Cafe (delicious) and then bought groceries to make a meal at home. It was PERFECT! We'll definitely be back!! We left feeling spoiled and rejuvenated. We recently spent a few days at this beautifully appointed and landscaped home. The house is perfectly situated between Napa and Sonoma, making it easy for us to visit wineries and restaurants in both valleys. The house itself is great – totally private, and the views are spectacular from anywhere on the wrap around deck, especially the sunsets while enjoying a glass of wine. The kitchen was unbelievably well stocked, everything we needed was there, from spices to sauté pans. All of the bedrooms were exquisitely furnished, and the beds were as comfortable as any hotel we could have stayed at. Everything is top shelf, from bed covers to the bed linens. 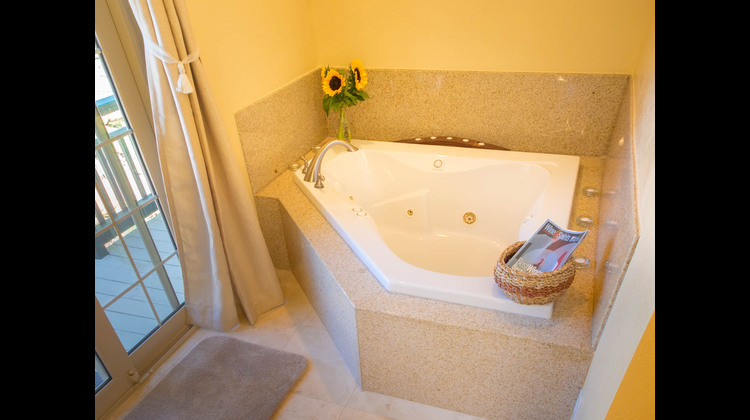 And the Jacuzzi tub is a great way to end a busy day! We are definitely planning on coming back to stay again in this wonderful home! We love this place! We had a wonderful time; nice and relaxing away from the hustle and bustle from daily life. 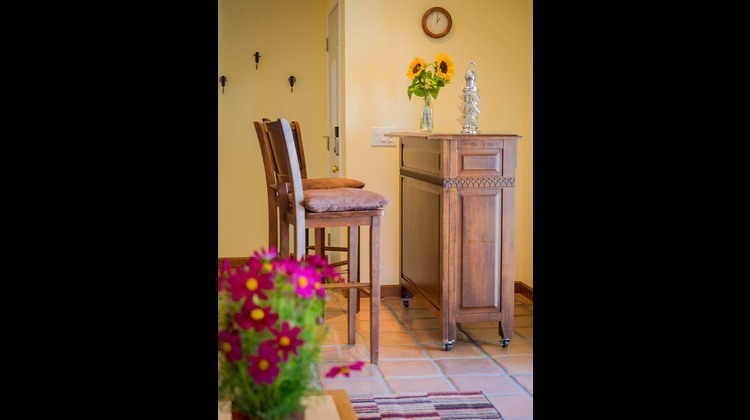 Montagne Della Luna is furnished nicely with everything you will need. The wrap around deck is perfect for enjoying the amazing views and spectacular sunsets from above the clouds. 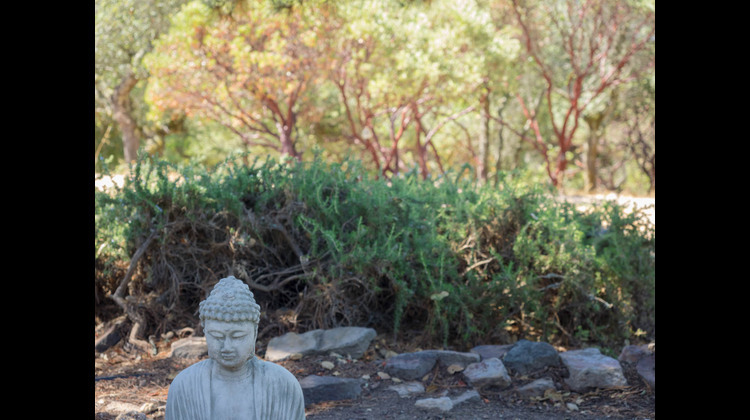 We can’t wait to return to Glen Ellen and stay here again!